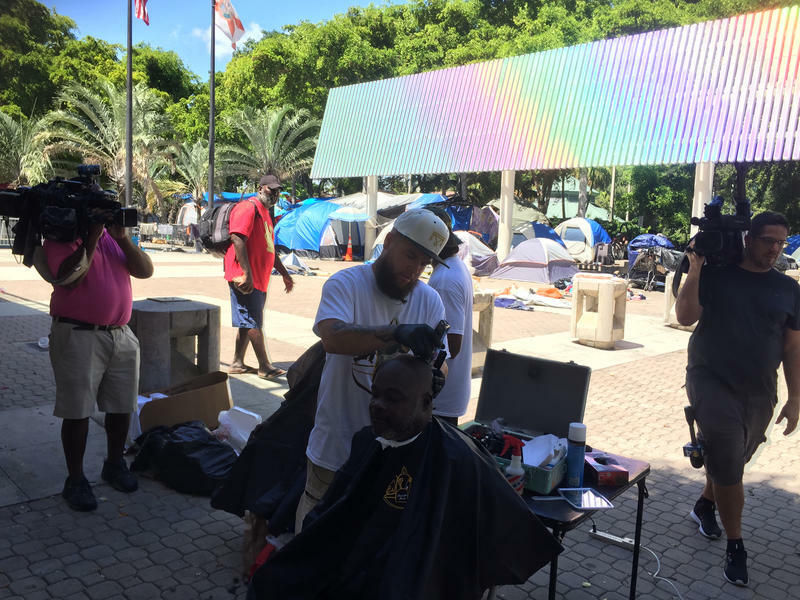 Greg Young, founder of the Backpack Barber, and local barbers, give free haircuts to the homeless outside of tent city in Fort Lauderdale, Oct. 1, 2018. 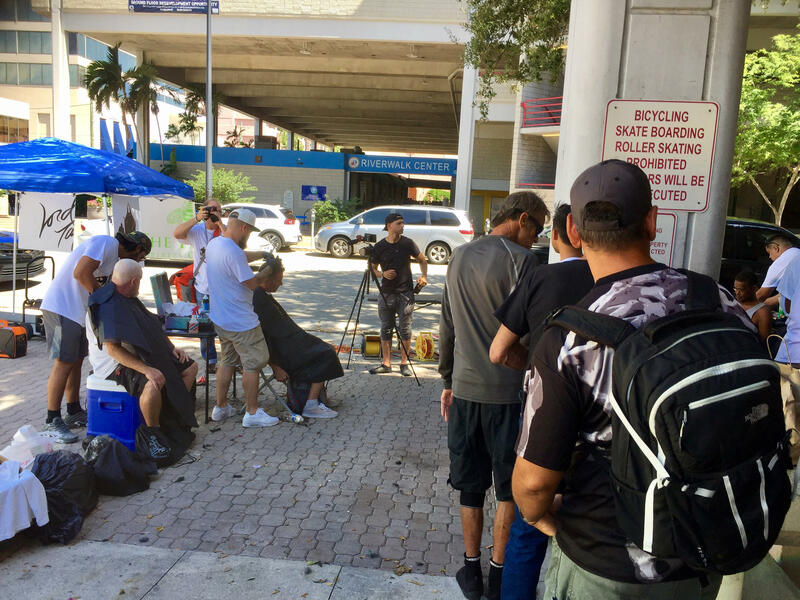 Homeless people wait in line for a free haircut. 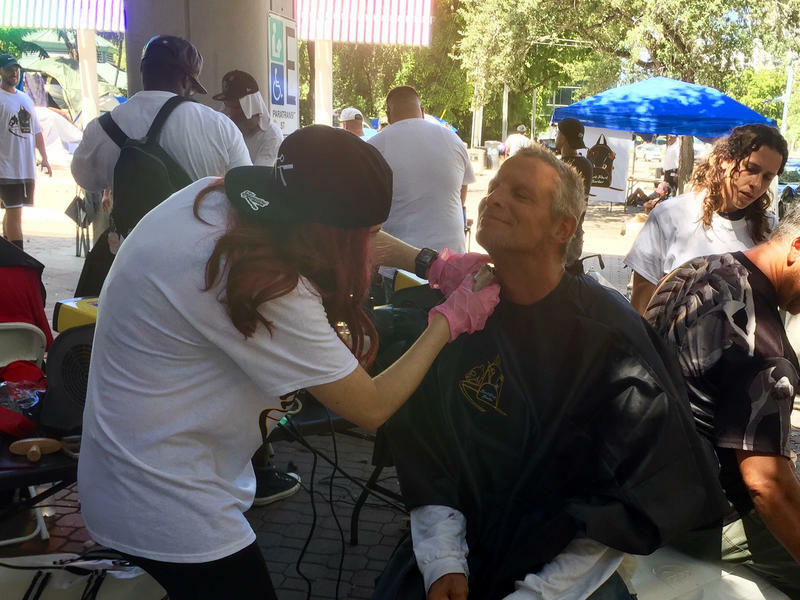 The outreach was part of an event hosted by "The BackPack Barber," an organization that aims to address the city's homeless issues. The group offers free haircuts for the homeless, provides hygiene bags filled with toiletries, and starts a conversation. "If I can save one person off the street and help them get their life back, and build their basic life skills ... whatever that takes," said Greg Young, the founder of The BackPack Barber. "I'm willing to go that far." 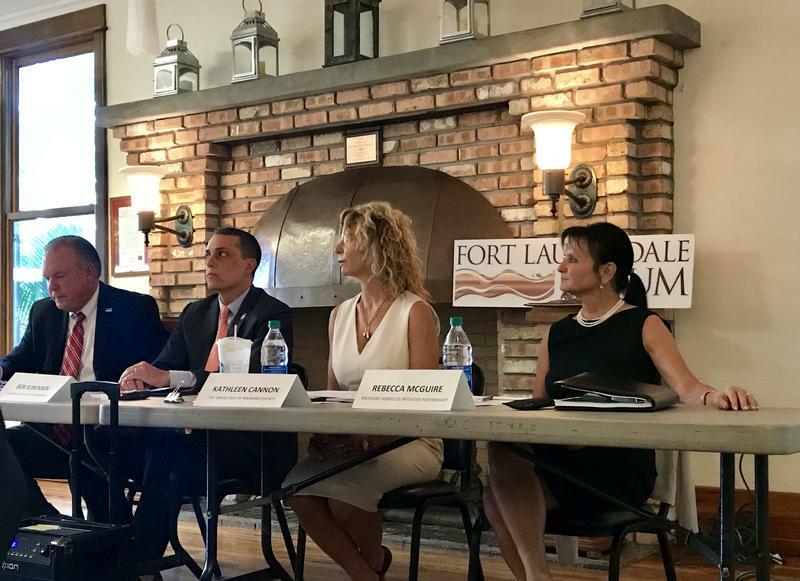 Broward Partnerhsip, a local shelter, worked with the group on the event, which advocates say is a step in the right direction in an otherwise tense relationship between Ft. Lauderdale and its homeless residents. In recent years, the city has passed various controversial ordinances related to its homeless population. In 2014, a food sharing ban prevented groups from feeding the homeless for free, and required hand-washing stations and permits. That same year, pandhandling was made illegal. 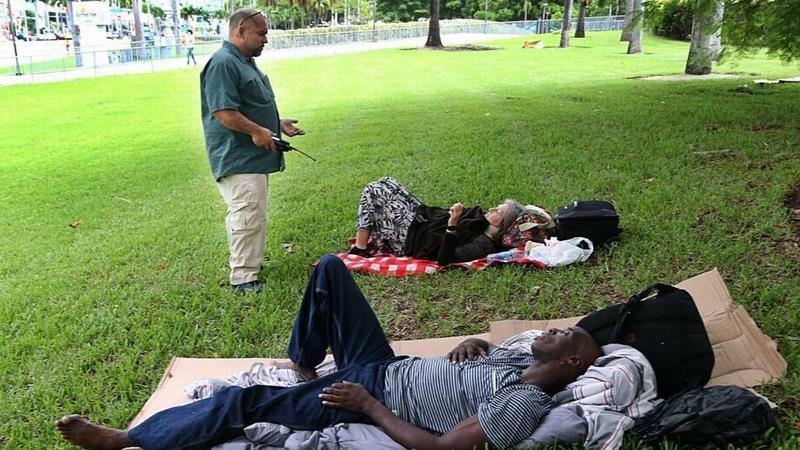 Earlier this year, mobile showers for the homeless were shut down for violating city codes. And just last year, tent city was bulldozed. "I understand both sides," Young said. At one point in his life, Young found himself on and off the streets, suffering from alcohol and drug addiction. 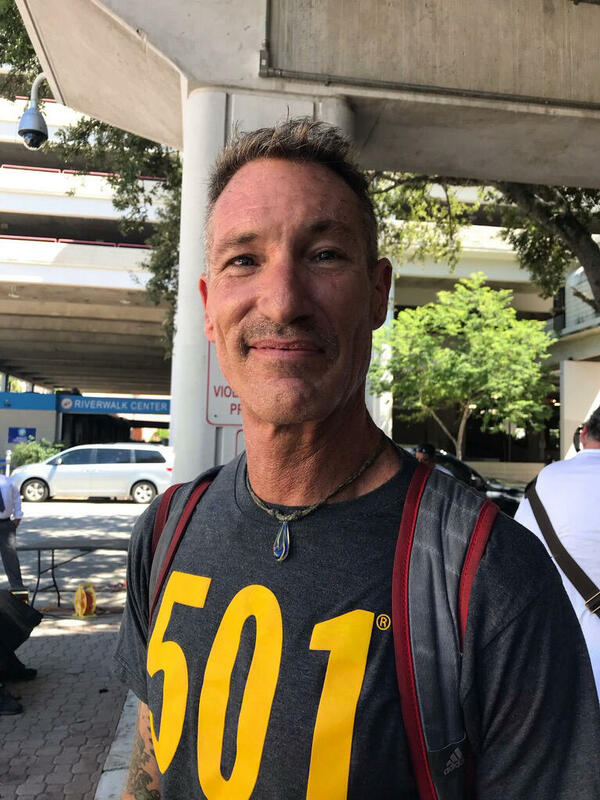 He was able to reach sobriety five years ago and co-founded Nobleman's Cut and Shave, a barber shop in Ft. Lauderdale's Fat Village. That's when the seeds of BackPack Barber were planted. Every night after work, Young and his friend would hop on a golf cart, look for people sleeping on the streets, cut their hair, offer them a hygiene bag, and build a connection. At the time, Young says he was trying to raise people's self esteem and be a person they can talk to. He and his partners have paid out of pocket for the organization and hope BackPack Barber can become a non-profit. 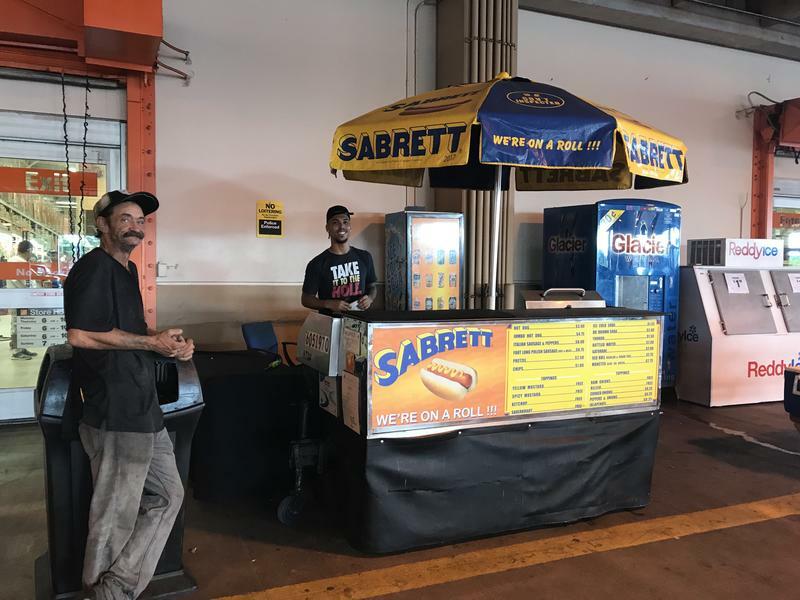 They hope to host events like these at homeless encampments across the city. On Monday, Tom Mimnaugh said he liked his new haircut. It was the first haircut and shave he'd had in three months. He sleeps just off Davie boulevard, and recently received a promotion at the restaurant where he works in Boca Raton. "They [the restaurant] said you gotta look really clean cut," he said. "Now when I go to work next week they'll be like 'wow, you look great!'"